Since 1999, Potomac Paddlesports has been hosting group and corporate outings that involve beginner-friendly paddling experiences. Our outings are simple, enjoyable, and offer a secluded, natural setting just a few minutes from Washington DC and within walking distance of a historic inn for lunch or dinner and a short drive from a full-service conference and event center for your event needs. Groups looking for a unique activity! Our spectacular three-hour beginner kayak tour takes place on the Widewater section of the C&O Canal in Potomac, MD. 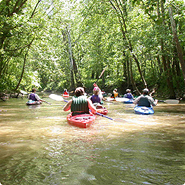 Located just minutes from Washington DC and within walking distance of a historic inn for lunch or dinner and a short drive from a full-service conference and event center for your event needs, this trip offers your group of 10-50 people a "quick start" kayak lesson for beginners and the opportunity to learn about the flora, fauna, and significant history of the C&O Canal on a leisurely tour of this scenic flat water area that's teaming with wildlife. All paddling equipment is provided on site, and the trip's proximity to the inn and conference center makes for an all-inclusive retreat for your team! Our four-hour whitewater rafting trip down Mather Gorge takes place just minutes from DC and introduces you to one of the most ecologically unique natural treasures in America. 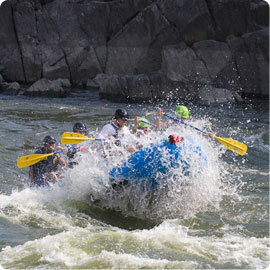 Located just minutes from Washington DC and literally across the street from a historic inn for lunch or dinner and a short drive from a full-service conference and event center for your event needs, this trip offers your group of 20-30 people to experience mild whitewater and learn about the flora, fauna, geology, and history of Mather Gorge section of the Potomac River in Potomac, MD. Our three-hour beginner stand up paddleboard tour takes place on the Widewater section of the C&O Canal in Potomac, MD. 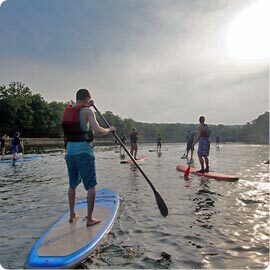 Located just minutes from Washington DC and across the street from a historic inn for lunch or dinner and a short drive from a full-service conference and event center for your event needs, this trip offers your group of 10-30 people a "quick start" stand up paddleboard lesson for beginners, and the opportunity to learn about the flora, fauna, and significant history of the C&O Canal on a leisurely tour of this scenic flat water area that's teaming with wildlife. All paddling equipment is provided on site, and the trip's proximity to the inn and conference center makes for a totally walkable, all-inclusive retreat for your team!. If you're looking for something in DC that offers nature and historical significance relevant to out of town guests, join us for a relaxing three-hour, beginner-friendly tour of the Potomac River in Washington DC. 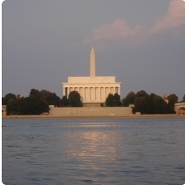 On this trip your group of 20-30 people will experience truly unique views of the Washington Monument, Lincoln Memorial, the Tidal Basin and many other significant historical points of interest. Below are some products that we frequently recom-mend to our flatwater tour guests. Have a look, and if there's any-thing else you need to make sure you're ready for your session on the water, we've got a ton of gear over in our online store! Check it out!